We looked at the work of Polish artist Joanna Potratz, as well as some other examples of optical art. 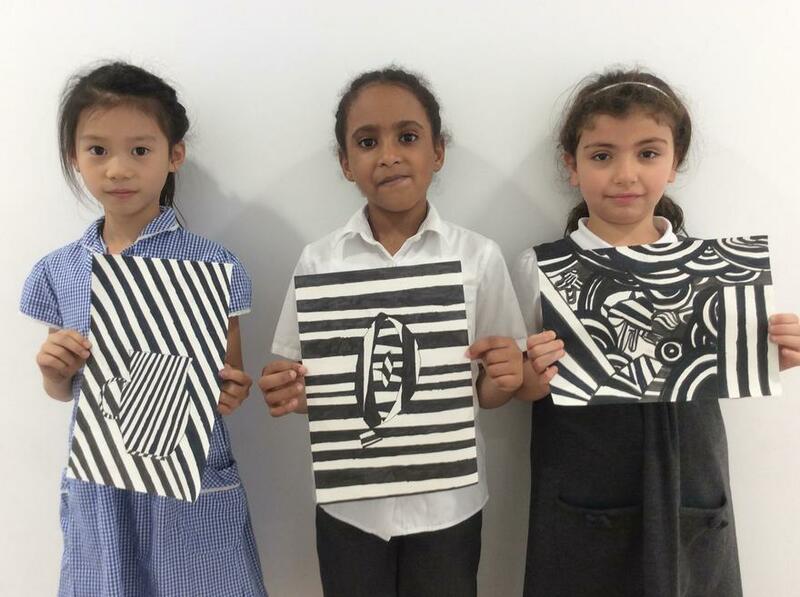 We created our own black and white art in the 'op-art' style. We are very proud of our stunning work!